On June 7th, 8th and 9th, 1929, the Republican Party hosted a 75th anniversary celebration in Ripon of the founding of the Republican Party. 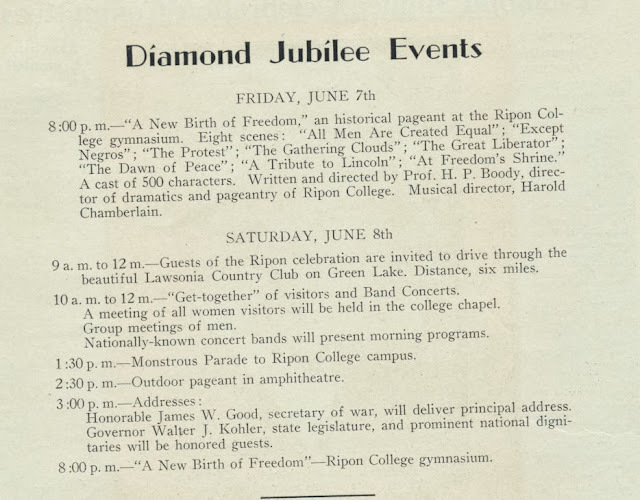 Both national and state Republican leaders such as Secretary of War, James W. Good and Wisconsin Governor Walter J. Kohler were in attendance, with Good serving as the keynote speaker. 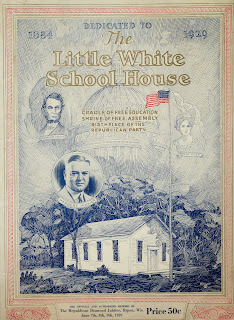 Between 1908 and 1940, the Little White Schoolhouse was located on the corner of Seward and Elm Streets, which is the current location of Harwood Memorial Union. 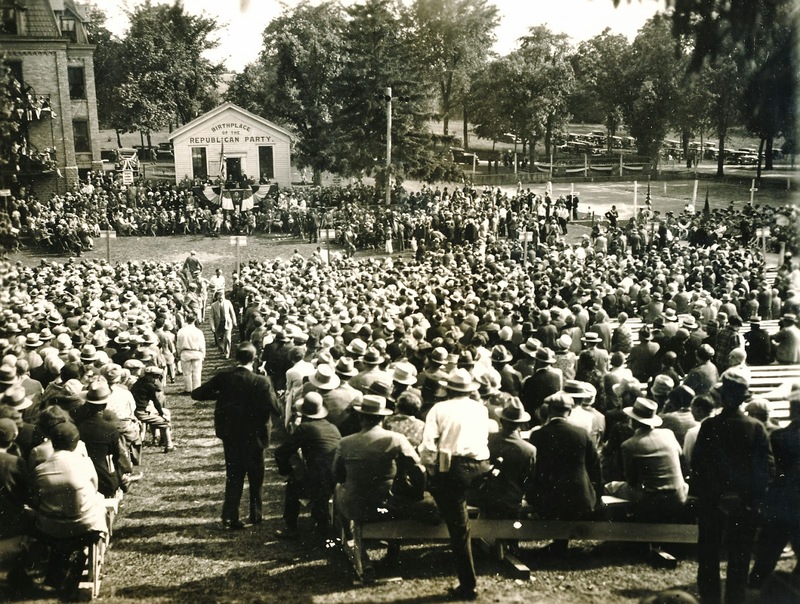 In 1929, it was temporarily moved adjacent to Bartlett Hall to serve as a back drop for the 75th Anniversary Celebration of the birth of the Republican Party. In 1940 the building was moved next to West Hall on Elm Street. In the 1950s, it was moved to its present location at 303 Blackburn Street. Pictured here is the Little White Schoolhouse at the corner of Seward and Elm Streets. 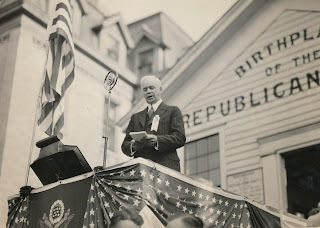 Secretary of War, James W. Good, addressing the throngs of Jubilee attendees. 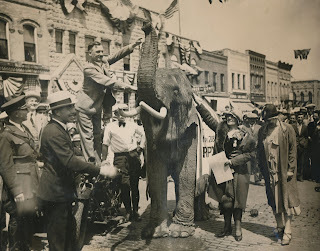 An Iowa native, Good served as President Hoover’s cabinet from March 1929 until October of that year when he passed away from peritonitis. He had previously served in the House of Representatives from 1909 to 1921. 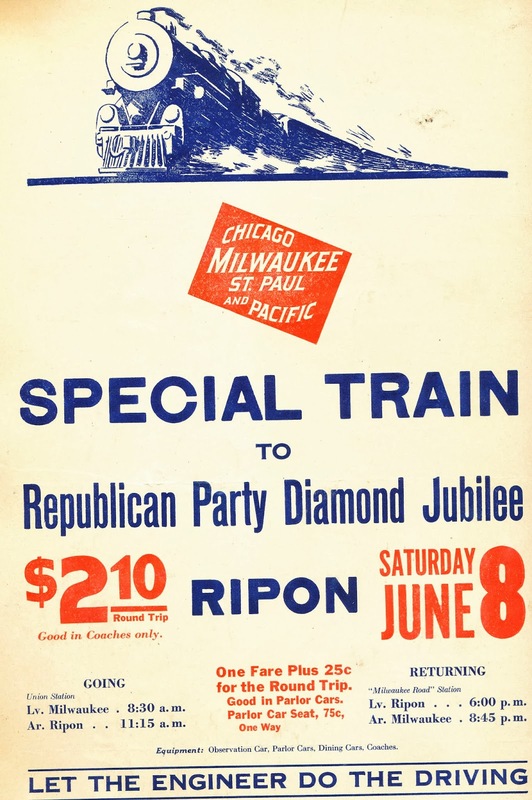 Check out the full exhibit in the Ripon College Museum in mid-October!